US, 2012, 78 minutes, Colour. Alias Ruby Blade is a very interesting documentary, an opportunity to grasp, within a small timespan, something of the history of East Timor in the late 19th century. 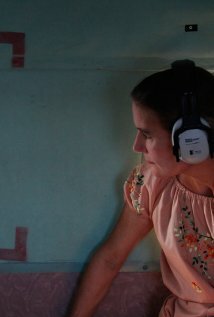 The director is an American and is particularly interested in the Australian, Kirsty Sword, and her role in the rebellion against Indonesia, contact with Xanana Gusmao, a go-between for him and Jose Ramos Horta, and her marriage to Xanana Gusmao and her role in modern-day East Timor. The film also has the advantage of interviews with José Ramos Horta with his perspective on the events between 1975 and 2002. From 1989 to 1999, the Berlin Wall came down, the Soviet Union collapsed, apartheid was ended in South Africa, Nelson Mandela became the President of South Africa, East Timor, after the occupation and invasion in 1975, regained its independence and became a nation in 2002. While the film is a political and social overview, it is also the personal story of Kirsty Sword and her relationship with Xanan Gusmao. It is interesting that the American writer-director does not focus in any way on the role of the Catholic Church in East Timor nor the winning of the Nobel Prize in 1996 for the political leaders along with Bishop Carlos Bello, emphasising the role of the church in the peace process. 1. The history of East Timor at the end of the 20th century, the colony, the Indonesian occupation, the people, the rebellion, leadership? The story of Kirsty Sword? 2. Audience knowledge of this history? An American production and its perspective? The perspective of Kirsty Sword? Audiences aware of East Timor, the people, the relationship to Indonesia, to Portugal? To Australia and the refugees? The 1975 occupation and consequences? Rebellion? Repression and massacres? The leaders, Xanana Gusmao? Jose Ramos Horta in exile? Xanana in prison? The local militias? United Nations, discussions, the vote, peacekeepers? The aftermath and the emergence of the nation? 3. Freedom movements throughout the world in the late 20th century, South Africa and apartheid, the Berlin wall coming down, the end of the Soviet Union? 4. The use of footage, news and television? Home footage of Kirsty and her life? Of Xanana Gusmao in prison? In the hills? After the vote, as leader, as statesman? The people and the reporting in the news? Footage in East Timor and Tillie? 5. The interviews, with José Ramos Horta, his perspective, his history? With Geoffrey Robinson and his role? Pat Walsh and his helping Kirsty Sword? 6. Locations, atmosphere of the country, the countryside and beauty, mountains, the sea? The contrast with Djakarta, the modern city, the prison? International sequences and protests? 7. Kirsty Sword and her story, seeing the history through her eyes, background in Melbourne, upbringing overseas, her parents, Indonesia, the interest, East Timor? The introduction by Pat Walsh? 8. Her continued involvement, knowledge of the country, used as a go-between, messages from Jose Ramos Horta, to Xanana Gusmao, prison, computers, emails, phones, video cameras, Kirsty getting to know him, meeting him, the relationship? Her pregnancy? The decision to marry? Her support of her husband? Three children? Her role in education in East Timor? 9. The Indonesians, the occupation, President Suharto, the insurrection, his stepping down? The possibility for independence? The alternatives given, to remain a section of Indonesia, or an independent part, or complete independence? The vote and the statistics? The queues for voting, the officials, the announcement of the result? 10. The rebels, for so many years, in the hills, Xanana Gusmao as the leader? His loyal followers? Interviews with them? the descriptions of what happened? 11. Xanana Gusmao in the field, his being taken, in prison, cheerful, the photos, the video material? With the others, the bribes to the soldiers, his garden and bonsai plants, surviving in prison? 12. The establishing of the nation, the roles of Jose Ramos Horta, of Xanana Gusmao? The development of the nation of East Timor?